You know when you make that mistake by going to Walmart or Target at the first of the month and you’re waiting in a never ending line? 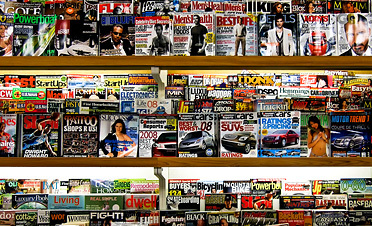 I usually grab a magazine to make the time pass because who doesn’t love to take a break from reality and consume themselves with the lives of others…even if you know your reading lies. That’s how I feel every time I read the National Enquirer. The tabloid is known for paying people for tips and exaggerating the truth. An example of that would be in February 2011 the Enquirer published a story stating that Steve Jobs had only 6 weeks to live due to cancer. Jobs died October 5 of that year which was 7 months after the reports. The National Enquirer was founded in 1926 but it was not the first tabloid to be published. 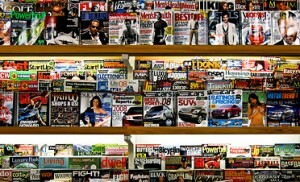 Tabloids are a form of sensationalized celebrity news that can appeal to a wide audience. However in the 16th and 17th centuries the wealthier class looked down on people that read them because they were more intrigued by politics, economics and art. Mitchell Stephens states that that is still the case today. However I would beg to differ because I don’t think anyone is being a 100% honest if they say that they’ve never picked up a tabloid and at least skimmed it, while at the doctor’s office or in line at a store.